More and more people know that it's time to get serious and get involved when it comes to politics. No one comes to this blog to read more of the drivel they have to suffer when they open a newspaper. We're sick of the same old voices churning out the same crap, repacked for another generation. Hopeless solutions re-applied to the latest crisis and simultaneously sowing the seeds of the next one. I'm tired of it, I'm even tired of complaining about it, even our complaints are growing stale. There is so much to hate and be angry about; my blood boils when I see coverage of another war and comfortable self-righteous idiots justifying it from thousands of miles away, I'm ready to punch the next person who has an answer for everything and thinks they're being clever, explaining away other people's homelessness, hunger, sickness and oppression as products of bad choices or judgement from God. This world can be awful and anyone who has got even the slightest inclination to work to make it better is welcome to read on and consider a realistic proposal as to how we fix it. I will lay out a vision of how things could be and the practical steps we will need to take to get there. The goal is not one that we should expect to arrive at. We won't wake up one morning, look outside and see the sun shinning and hear the birds tweeting and realise that the fight is over. Readers of this blog may have differing opinions as to where the meta-narrative of human history is taking us, if anywhere, but for as far as our limited minds can see and understand we know that the goal is to be pursued perpetually. Imagine a world where we we really did live as equals, where the interests of one group were no longer mutually exclusive to another, free from war, free from hierarchy, free from oppression and exploitation. Imagine in world where we were free to focus on love and creativity, free to travel and free to contribute our uniqueness to society. If this kind of world can even be imagined then why not aim for it? Let's not even start out on this journey with an already limited preconception of how much better things could or should get, to do so would stifle our own energies and would be strategical suicide; like letting slip the minimum you'd settle for from the outset when trying to make a deal. The message we need to internalise, and we need to make sure that the authorities and the elites hear it too, is that we are not looking to settle at all. 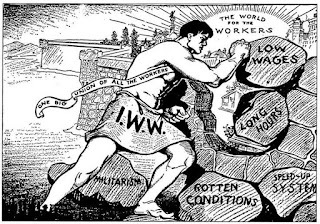 We are pushing with all our energy and strength for a revolution and standing in our way risks them being knocked down and crushed. For some people the word anarchism might conjure up images of chaos and destruction, or simply immature teenage rebellion. Anarchism is just the word that many of use to describe our yearnings for the kinds of freedom and justice described above, anarchism is meaningful to me but if it means nothing in your culture or to you personally then ignore it and imagine another word in it's place. 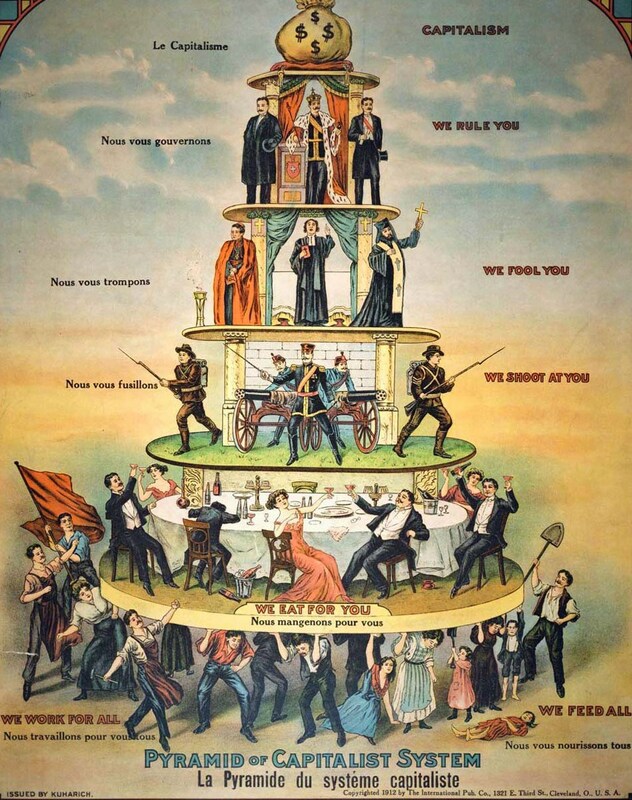 Anarchists are people who believe that the root of many of our problems is found in the way in which our societies are organised and the defining characteristic of the way in which we are organised is hierarchy. 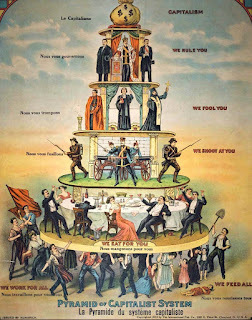 hierarchy cannot be reformed, it must be replaced. Zooming right in on our own socio-historical context we find a globe divided up into hundreds of states where people are farmed according to the norms of an economic system we have come to call capitalism. Lots of things are 'a' problem, hierarchy is 'the' problem! 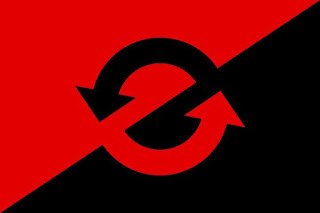 There are various strands within the wider anarchist tradition; anarchist communism, collectivist anarchism, mutualism and individualist anarchism being the main ones. Each believe slightly different things about what exactly constitutes a hierarchical society and what is the best way to change it. Mutualism is the broadest of these encompassing arrangements from communists who hold all things in common to those who wish to participate in a kind of market economy. Mutualism simply says that arrangements must be mutually beneficial for those who choose to participate in them. Again, if the word puts you off, call it something else, labels are only helpful when they're helpful. What would be different in a world where all human relationships and collaboration was done for mutual benefit? In practice the most obvious and simple expression of mutualistic human collaboration is the co-operative (no, not the supermarket chain, if you live in the UK). 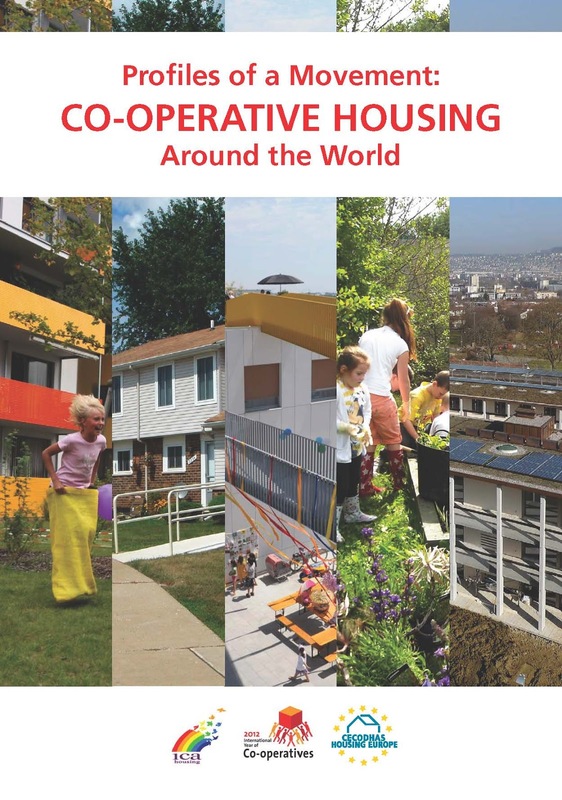 Housing co-ops - Under capitalism greedy, and usually privileged people are free to accumulate huge hoards of property, property they neither personally occupy or use. Not only are they free to do this, their actions are protected by the state. In a capitalist society housing co-ops are ways for residents to pool resources to purchase land and housing. This is then cooperatively managed for their mutual benefit, not for any one person to make a profit. In a mutualist society the principle for establishing a legitimate claim to property would be based on occupying and using it personally (and having come to do so peacefully). 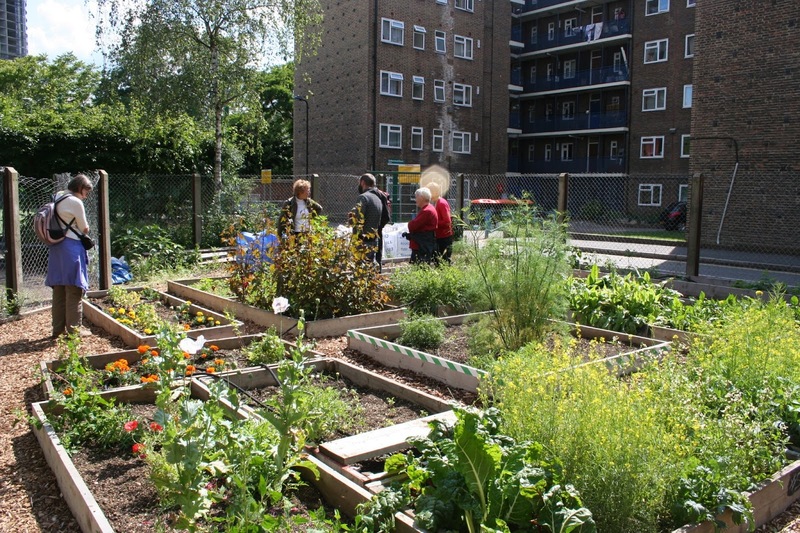 Some may want to take sole responsiblity for their housing and live more independently housing co-ops would work for those who preferred the inter-dependence of being able to rely on each other for maintenance, providing basic services, looking after communal grounds/ roads etc. These could be mixed with consumer co-ops. Consumer co-ops - Under capitalism these are largely effective ways to pool resources to benefit from the discounts associated with bulk buying. In a mutualist society we are likely to find whole towns, villages and neighborhoods clubbing together to arrange for electricity, water, waste disposal etc. these utilities would be provided by a co-operative joint run by consumers and workers, most of whom would likely live in the particular local area. Friendly societies - Those of us who can see the state for what it is; a weapon in the hands of the elite, know that the words 'welfare' and 'state' don't sit comfortably together. Centuries ago, as feudalism transitioning to capitalism people began to club together to form friendly societies. These have now been intentionally pushed to the margins. In a mutualist society friendly societies would be the primary vehicle for mutually looking after each other when we fall on hard times. Health care, insurance, pensions etc. would all be provided to each other reciprocally through these. Those of us who are in the most vulnerable situation often feel most tempted to cling to the state, believing that without it they would be destitute or reliant on the charity of others. This need not be the case, our collective welfare is at the heart of what we are pushing for. The state offers a pittance to those who are in difficulties just to keep revolution at bay. In a mutualist society welfare would be provided horizontally, as mutual aid amongst equals. Credit unions - Credit unions under capitalism prevent the big bankers from harvesting up interest and fees and charges from our resources. After profit has been extracted, tax has been extracted, rent has been extracted interest on loans and heavy charges for late payments are what finally breaks many of our backs sending us into debt and causing us to loose our homes and necessities. 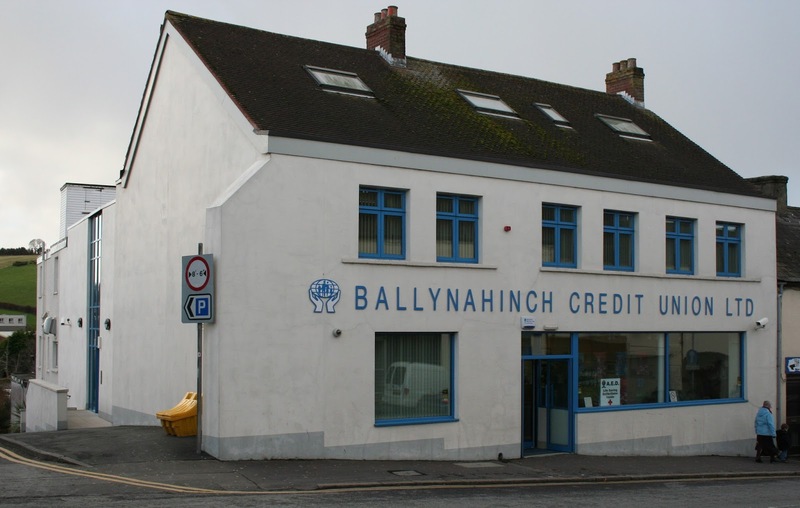 If people in a particularity area are still using money in a mutualist society the credit union would simply function as their bank. Any interest which might be taken is returned to all account holders as a dividend after any workers have been paid. Volunteer's co-ops - Potentially a separate category from thee above for those who want to organise a project or achieve some goal together. 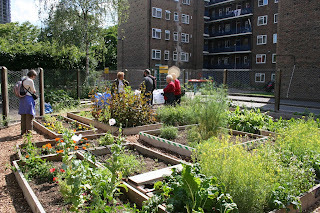 Equally a volunteer co-op could be seen as an alternative form of any of the above specifically organised outside of market relations all together. 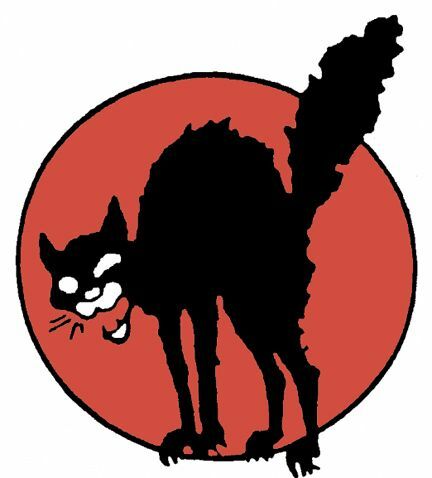 Communists propose a society where work is done without the expectation of immediate reward and that the products of labour or the services provided are freely available to all in the safe knowledge that one's own needs will be provided for by others in the same way. Credit and debt is not held against each other at all. This will work for some people, possibly for all people in time. 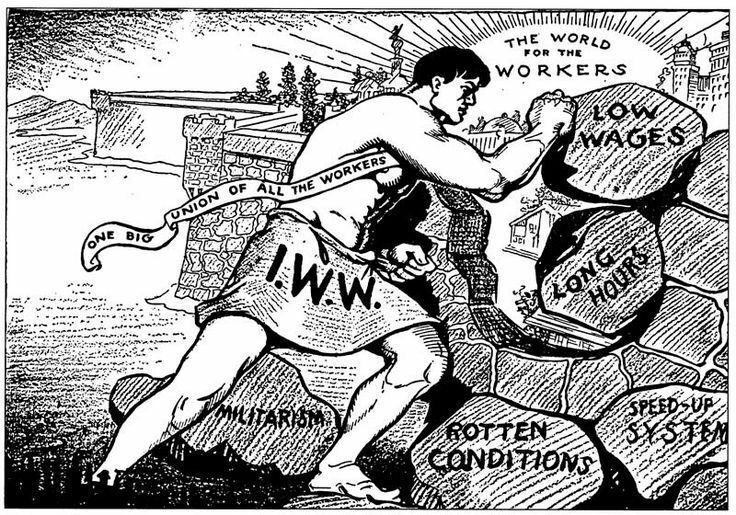 There would be no 'boss/ landlord/ capitalist' involved to extract profits/ rents/ interests from workers. No one is getting rich off anyone else's hard work just because of claims of private ownership. By ensuring that workers have their rightful stake in the organisation and a democratic input in decision making their incentives to work are improved. Many of us, especially when we've been in jobs that are dull and demeaning know exactly what it's like to sit watching the clock trying to get away with as little as possible, wasting our lives away waiting for the weekend. Work in a co-op would not necessarily be perfect and 100% enjoyable every day but a huge amount of what makes us hate going to work would be gone: An angry boss/ competitive colleagues sucking up to the boss/ no input on decisions that effect us/ no outlet for our creativity/ no sense of ownership in the organisation or project... all gone. Co-ops are run by the people, not an absentee boss. The people who show up to work every day are much more likely to live nearby and are invested in the local community. This ensures that they will look after the environment around them in a way that capitalist businesses will not. Capitalist businesses are legal fiction, personified in law, decisions are made as much by the demands of capital itself than the will of any individual or group. If they were human they would all be diagnosed as psychopathic, co-ops would not. No assholes. Giving people authority over others turns them into assholes. People step on each other to please the boss or get a promotion, managers gleefully exert their authority in pointless ways just to feel good, the work place becomes a high pressure environment and a constant struggle. This makes people physically and mentally ill.
Co-ops have much less incentive to expand, this would be even more true in a mutualist world. If no one is harvesting profits no one has much of an incentive to build an empire. This keeps organisations smaller and more localised, the days of mega corporations would be history. Internally co-ops are networks of equals, in a mutualist society co-operatives themselves would also be networked fulfilling all the functions that both big corporations and the state fulfill now. But how could we get from where we are now to there? List every organisation you currently associate with, whether voluntarily or not: Your place of work, the hospital where yo go when you get sick, the places you buy the things you need, the school you go to or went to, the religious institution you are part of etc. Get together with friends/ housemates/ family/ neighbors, maybe everyone on your street/ workmates and do the same with them. Make sure you involve people who are often truly getting a beating from the way things are now; prostitutes, homeless people, racial minorities, women, gay people, old people and whoever else you know could easily get left out... they must be listened to and treated as equals. Think about your personal relationships and each others' personal relationships too. Decide together that an injustice against one of you is an injustice against all of you and that none of you will truly be free until you are all free. Starting from what seems the most urgent find ways to transform the associations and relationships that you all have into ones which are peaceful, voluntary and beneficial to all involved. It's impossible for me to tell you exactly how to do number 5. We all have to be involved in finding the answers here though. It will be a process of collective discovery. You've got landlords to fight, police to avoid, bosses to undermine, empty homes to break into, local councils to battle... and as many more as you can imagine. It will be an adventure if nothing else. Here are two decent links to use to begin to think through how it might look, beyond this, you just have to get started. It doesn't matter how small you start, we don't make progress without the first tentative moves and the little victories that might come at the beginning.